Open Southwest Finland Challenge Opening at Restaurant Koulu. Welcome to the opening event @Restaurant Koulu 3rd June! Open Finland Challenge is a competition for digital innovations promoting open society. Open for all, the purpose of the competition is to produce new, innovative applications, ideas or concepts which make use of open data and/or in other ways boost the development of open society. The competition has been arranged from 2009 under the name Apps4Finland and within the last few years there has also been regional competitions around Finland. Also this year regional competitions will be arranged. Organized by Lounaispaikka, in the Southwest Finland regional competition the theme for 2015 is mobility. The aim is to find new solutions in traffic, parking, traffic safety, mobility & accessibility, commuting, leisure activities etc. The total sum of prizes is at the moment already over 6 000 euros! Partners, challenge categories, rules and prizes of Open Southwest Finland Challenge are announced Wednesday 3rd June 2015 at 2.00pm in Restaurant Koulu (Eerikinkatu 18, Turku). To celebrate this The Danish Society for Women is organising a Constitution Day Parade and Nationalmuset (The Danish National Museum) is helping to organise a women’s historic parade as part of the parade. 9.30 or earlier: We meet at Grønningen near Kastellet and prepare for the parade. 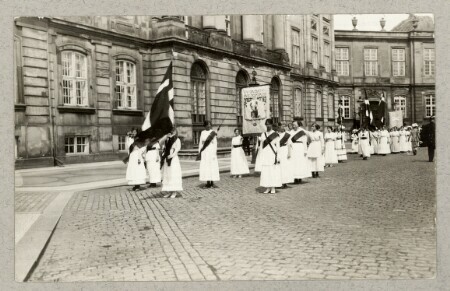 11.30: Arrival at Christiansborg, where the parade is greeted. Grundlovsgilde på Dansk Arkitektur Center – samtalefrokost, selv-byg og sammenskud på kajen (in Danish). During the feast we’ll engage in conversations, most likely following the Borgerlyst (in Danish) concept of a “conversation menu” with topics for disussion/contemplation. We’ll end the day by taking to the streets and try to document as many places as possible related to the Danish Constitution. Use cogwheels, LEGO, waterworks, cookies, LED lights, music and sound, graphics, animations, online devices, wearables or something else suitable to visualize open data. We offer cash rewards for the best physical or digital visualization that is based on the agency’s open data. The best solutions will be bought by us and be displayed at a public space at our agency. If the jury is able to select a suitable winner, the winning team will be awarded 20 000 SEK (the agency will buy the final visualization). The award is intended to be used for the team’s costs for finalizing the visualization so it is ready to be displayed in a public space. Date – contributions must be submitted according to instructions available at https://www.nordicopendataweek.nu/ no later than Sunday 7th of June, at 15:00. A jury will evaluate all contributions and select one (1) winner, if the proposed solution meets all criteria and is suitable to be displayed at the agency’s premises. The final decision is made 10th of June, at 12:00. Video – all contributions must be submitted in the form of a URL to a video (1 minute long) describing the proposed solution. Criteria – we are looking for solutions that are exciting, prototypes that visualize something important based on the agency’s open data. The purpose is to display the visualization in a public space and this is one important aspect that the jury will look at. It is a requirement that the visualization is based on or somehow use the agency’s open data. The Prize is available for all – all events that are registered at www.nordicopendataweek.nu are allowed to use this award, in order to motivate participation and increase visibility. A link to these rules is required. The end of the Nordic Open Data Week also sees the end of a open data visualisation competition organised by Nordic Innovation. Organizers of hackathons, ideathons, data cook-offs, art hacks, maker sessions can nominate winners on a national level. 2 winning teams per Nordic country will be awarded the highest prize – a grant of 25.000 NOK for Travel and attendance at Slush 2015 in Helsinki. The winning teams will again compete in a pitch session at Slush, and 3 winners will be selected by a jury. These 3 final winners will each get 50,000 NOK. All organizers of events at Nordic Open Data Week need to do is to pre-register (no charge, all welcome) their event and be listed at this site, nordicopendataweek.se. To take part in the completion, each team have to send in a 1 minute video pitch to the local organizer, who will pick the winning teams. If a winning team is a company, a guarantee document of “de minimis aid” has to signed by the company, meaning that the company will or have not received governmental funding exceeding 200.000 Euro under a 3 year period. If the winning team consists of private persons, all taxes or other fees must be covered by the persons. Welcome to the Wikidata Challenge around items on menus! What: This is a public competition built around circa 30 menus that are used at a food festival (Q1435951) in Stockholm (Q1754). The goal of this challenge is to improve and translate and illustrate this list of around 300 menu items, into as many languages as possible. They will be displayed on menus during the food festival. The winners will receive great prizes and honour. How: The contest is simple in structure, based on a KISS point system: You get points while adding labels, images and pronunciations, with the goal for each participant to gain as many points as possible. Who: Everybody can help in any language with translating or by adding pronunciations or images of the food and the ingredients. Anyone with an account can participate. To participate you just need to sign up on the Participants section. Why: The contest is organized and led by Wikimedia Sweden (Q15279144): We want to try out the power of Wikidata in Sweden as we believe that Wikidata could be a fantastic tool to make the city as easily accessible for tourists and immigrants as possible! At the food festival we will reach a lot of people and increase Wikidata’s visibility and gather their comments and ideas. We will use the lessons learned and continue with other Wikidata projects to create useful products for different partners! Help us make this a success!